Popular card battle game needs a breather. 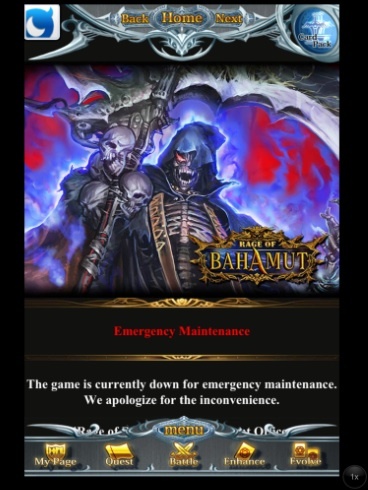 Rage of Bahamut fans received a very unwelcome message after logging into the successful card battle game. Turns out, it's been taken offline for emergency maintenance, with no info on when it'll be back up and running. That said, we've contacted Mobage to see when the problem(s) will be resolved. For now, "as soon as possible" appears to be the response. Update: The game is back online.